Floor space : 1303 Sq.Ft. Well appointed bungalow featuring vaulted ceilings in the living, dining and master bedrooms, two dramatic gothic windows, and the 3 piece master ensuite is handicap adapted. The kitchen has a newer garden window and a double door leading to large covered deck. Main floor laundry with sink next to garage entrance. There are two wood burning fireplaces one in the living room and the other in the rumpus room which supplements the basement in floor heating system.Downstairs you will find a rumpus room, two good sized bedrooms and a 5pc bathroom. The out doors can be enjoyed by a tiered ,covered deck with skylight overlooking a very spacious backyard. This home is all about location as it is in a quiet cul-de-sac that is in close proximity to three schools and several green spaces. There is also a concrete RV parking pad which complements a two car attached garage. 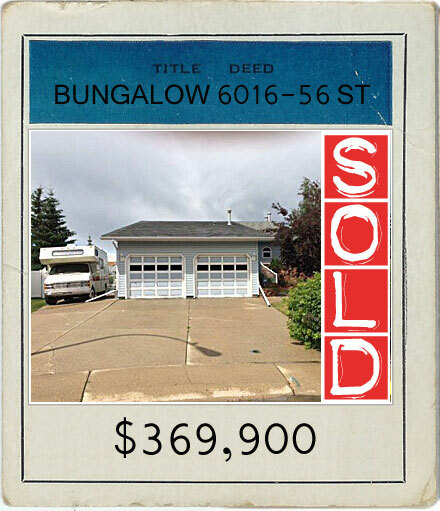 Call Hugh to view today (403-556-0262) or email me for full property profile.